On Tuesday, as Americans went to vote, I sat in a coffee shop with a friend and our four children. It is an amazing space where children roam freely while parents sit and drink coffee. As my friend and I chatted, a man (and he was a tall man) pointed at a young boy and shouted, “Whose child is this?” A granny responded and he loudly told us all about how this boy had hit his much-smaller toddler. He said that if it happened again, he would take discipline matters into his own hands and “give the boy a hiding”. Not content with his tirade, this tall man then went up to the much-smaller boy (who was no older than four years old), and repeated himself. This time standing over the boy, pointing at him and letting him know who was boss. “I will give you a hiding if you ever hit my daughter again”. And he stormed off, out of the coffee shop, leaving us all wide-eyed. And outraged. I must confess though that, despite feeling utterly indignant at the public bullying of a small child by a much-taller man, I did not say or do anything to intervene. The truth is that I was so shocked that I had no words. But that is not an excuse. I could have done or said something. And I didn’t. The next morning, I woke up to the news that Donald Trump would be the 45th President of the United States. I hungrily consumed social media, attempting to absorb this extraordinary news. A man with no political experience. A man who has never held public office. A man who called Mexicans “rapists”, boasted of his sexual conquests, demeaned the military, started the Birther movement, set up and bankrupted several businesses, promised to build a wall to keep Mexicans out and vowed to deport all (criminal) immigrants. A man who fibbed his way through the election campaign. This man was the President-Elect. Again, I was stunned. Indignant. But this time, I was not lost for words. I ranted on Facebook, overcoming my usual fear-of-confrontation. Unable to contain my disbelief, I was particularly incensed at suggestions that aligned Trump-as-President with “God’s will”. I have many, many thoughts about the phenomenon of Trump-as-President (here are just a few). Church leaders who endorsed Trump (especially those who are white and male), I have a question for you: Do you know how many people are terrified about what Trump-as-President means for them? As you sit in your position of white, male privilege and long to “make America great again”, do you have any idea, at all, what that means for people who are different from you? The potential victims of Trump-the-Bully? The gay community, the immigrant community, those with sick relatives who rely on Obamacare, Muslims, Hispanics, African-Americans, women. Don’t tell them it’s “not that bad”, for it is. Take a moment to listen to those who feel vulnerable before you use your pulpit to celebrate the fulfilment of “God’s will”. As Van Jones said on CNN, “You have to hear the pain first, before you tell people it’s not alright to hurt”. Since Trump triumphed, there have been numerous reports that people of color are being abused. Hispanic children have arrived at school to chants of “build the wall” from a group of white children. Children. At a university, a Groupme chat added black students to chat about n****r lynching. Racist graffiti is found in universities and schools, as white people let others know who is no longer welcome in “Trump’s America”. This is the Trump effect. Potential victims include anyone who isn’t white/male/wealthy. Anyone who isn’t like Trump. The fear is real. The threat is real. Those (of us) who are privileged – who do not have to fear – cannot, and must not, capitulate. We must not “move on”. So many people are afraid. The colour of their skin, gender, faith or sexual orientation- the very essence of their identity – is being mocked and dismissed. They cannot be reassured, for the future is truly unknown. We only have his rhetoric. Trump is a bully. And the fear is real. I am ashamed of my silence on Tuesday as I watched a tall man bully a much-smaller boy (and his granny). I will not be silent, I will not allow myself to hide, as a President-elect bullies those he perceives as smaller than him. I am a card-carrying Christian but I cannot believe- as so many do – that “this must be God’s will” (it wasn’t God who was voting, it was American citizens). And I will not sit at my computer, blind to the huge-potential-hypocrisy of this blogpost. For I am a Brit living in post-apartheid South Africa. I must confess my white privilege – for I am one of the powerful, the wealthy, the elite. I live in a nation that remains deeply divided along racial fault lines. A nation still in (slow) recovery from a political system that legalised and enforced separateness. A nation still in turmoil, whose scars are still raw. I hate racism and yet I recognise the racist tendencies in my heart, I criticise those who only want to be around those who are “like them” and yet I confess my preference for my comfort zone. I long to be a bringer of change and yet I recoil at my oft-displayed unwillingness to engage in the painful task of dismantling this separateness. Today, we look back in horror at the evil of apartheid. We find it hard to believe that it was so widely accepted by those who were privileged. We find it hard to accept that Christians used the Bible to justify their belief in white supremacy and black inferiority. We balk at the premise that those in the Dutch Reformed Church truly believed they were doing God’s will. And yet it was this belief – that they had exclusive access to truth – that justified the horrific behaviour that followed. Is history about to repeat itself? For this is the dangerous ground on which America now teeters. Has God blessed Trump to enforce the lies of white supremacy and black inferiority? Do Trump supporters want to Make America Great (Again) or rather Make America White (Again)? And yet, how easy it is to comment, and be outraged, at what is happening in the USA. It is much harder to engage with the injustices all around me. Much harder to stand up to the bullies standing next to me, as I discovered again on Tuesday. How easy it is to be brave from afar. How tempting to simply sit here, phone in hand and critique only on social media. How much harder to stand up to the much-taller bully in real life. And yet we must commit, again, to both. Let us not be silent in the face of oppression. We cannot allow the bullies to win. I must have started writing this blog post one hundred times. 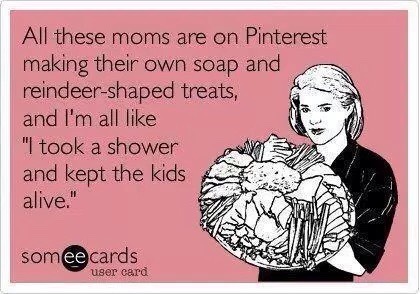 I’ve stood in the shower, snatching a few child-free moments, ignored the banging on the door and briefly contemplated life outside of mum duties. Those child-free moments do not last long. Life is, it seems, one long interruption. Donald Trump vs. Jacob Zuma: who’s worse? Donald Trump vs. Theresa May: who’s worse? Oh no. Is that a crying baby/toddler? It may be apparent that my capacity for deep thinking is not what it used to be. In fact, I am finding it really, really difficult to write this (not-very-complex) blog post. I used to think that motherhood doesn’t have to change you much. It’s hard to “take stock” during this baby/toddler phase. I don’t feel like I have much to say, much blog-post wisdom. I don’t have time to sit and think about what I want to write about next. I don’t have the luxury of being a “world changer” (just a nappy changer). So I am not really sure why I am reviving the blog. Except I know that, in some small way, it helps me. Helps me to reach out beyond the daily (and sometimes mind-numbing) tasks of motherhood-with-a-small-baby-and-a-toddler-too. This is a blog about failure. The ordinary and the extraordinary. The wonder and the horror. It is not a monologue on personal suffering (I hope). Or a catalogue of catastrophe. I tried a new, different blog last year but it didn’t seem to fit. Didn’t feel right (and I still haven’t worked out why). I tried and I failed. Stopped writing. Lost interest. And recently I’ve been pondering this put-to-bed little blog. I’ve thought about second chances. And resurrection. Sometimes we try something new and it doesn’t work. It seems like a good idea (at the time). Then it doesn’t. Should we always persevere? Is “giving up” sometimes ok? Writing, it seems, is like life- unpredictable, hard work, and occasionally inspired. I like to write and I love to read the words of others. Sometimes it’s good and sometimes words fail me. A story of failure is back. It feels like me and it feels like home. I hope you’ll join me as I resurrect this little blog. I’ve started a new blog. It felt like the right time. The right time to start writing again. The right time to start thinking and wrestling. It feels different this time. My brain is much more fuzzy. My time is much more limited. My words get stuck more quickly. But I’m setting off on this new adventure nonetheless. And I really hope you will join me. You can find me at Mama in Africa – I look forward to seeing you there soon. I don’t know how to start this blog post. So I will simply begin with how I feel. I feel very happy! I am 18 weeks pregnant. And utterly overjoyed at this new life growing within me. It still, at times, feels somewhat surreal. Me. Pregnant. Me. Soon-to-be-a-mama. Us. On the path to parenthood. It hasn’t been an easy road. Or a straightforward one. Month after month of disappointment. And the won’t-go-away questions: will it ever happen? Is there something wrong? Should we do something about it? The doubts. The maybe’s. Maybe we won’t ever have our own (biological) child. Maybe we just need to come to terms with that. Maybe. Maybe. Maybe. We had talked about adoption. Talked seriously. And we still talk about adoption now. Another maybe. And yet, staggeringly, we made our own baby. It took time, but I can now look down at my growing bump and know this is not just a dream. Earlier today, I read an article about adoption that was so shocking, it left me lost for words (it’s well worth a read, if you have a few spare minutes). It talks of the emerging “rehoming” industry in the US – where adopted children no longer wanted by their new parents put them up for “transfer” online. This black market in child swapping sounds unreal, like a Grimm’s fairy tale, but it is not fiction. And yet, within the horror – the hard-to-imagine desire to give up a child you had so desperately wanted – I see the utter desperation of humans out of their depth. Desperation at an overly bureaucratic system, at the expense involved in adoption (particularly internationally). I glimpsed the isolation these parents must feel when their longer-for adoption seems like one big mistake. Whilst not in any way condoning the actions of those illegally and irresponsibly “passing on” their child to a new home, I do wonder whether such horror stories are some of the symptoms of a system-gone-wrong. It has often amazed me that those-who-fall-pregnant are treated so differently from those-who-want-to-adopt. Potential adopters have the minutiae of the lives publicly analysed. They spend much time (and often much money) hoping they will perceived as “parent material”. They have to prove their potential-parent qualities. What about the rest of us? With 22 weeks to go, I don’t really have a clue what lies ahead. I still can’t quite believe that, in just a few months time, my hubster and I will be wholly responsible for a precious little life. It is a gift and a delight. An incredible privilege. And just a bit scary too. As we prepare to bring a new life into the world, I want to remember too the children whose lives begin very differently – who are not wanted, not cared for, not loved. I don’t want to cut myself off – in a little “new parent” bubble – from these realities. And I don’t want our child to be cut off from them either. I don’t ever want to stop thinking about adoption. Or fostering. Or supporting families in need so that they can stay together. I don’t want to become a self-satisfied, middle-class parent, immune from the realities faced by the majority in our world. A world where some parents are so desperate they give up their longed-for child, not even knowing where he or she will end up. That is true desperation. True isolation. This system needs to be fixed. You are what you buy? Every now and again, I read something that seems to expose the truth about human beings. It’s not always a pretty truth. Nor is it easy reading. Yet such words are essential reading, for they uncover blind spots and force us to face up to our flaws. This was one of these articles – brilliantly titled “Admit it. You love cheap clothes. And you don’t care about child slave labour”. I read it in the Observer on Sunday and it’s been bugging me ever since. Bugging me because I know it is true. I know that I am guilty. Like so many of us, I get upset when I hear about the appalling conditions forced on those who make our clothes/ipads/mobile phones. I might even occasionally boycott a product. But this standing-up-against-injustice tends not to last. Convenience – or my desire – eventually wins the “will I-won’t I?” battle. So I go back into the shop and buy those cheap jeans because – if I am honest – they look good. And I like them. And I want them. I wish this wasn’t true. But, as I face myself and my complicity in the mirror this morning, I just know it is. Indeed, I recently decided to boycott GAP. My favourite clothes shop in the whole world. And it has been my first choice for years. I love the GAP. And then I heard that, following the collapse of that garment factory in Bangladesh, GAP chose not to sign an accord to improve working conditions in these factories. So I decided not to shop there anymore. I’m not telling you this to make myself look good. Far from it. But rather to confess the emotional tussle I feel when I walk past a GAP store. I still miss going in there. Even though I now know some of the true cost of their clothes. I still want them. Isn’t this the modern day dilemma? We want that thing, but we don’t like how it was made. And yet, we are so far removed from those who literally slave away to make these things, that we need journalists and campaigners – others far removed from us – to highlight what is really going on. We live in a globalised world. And it has, in many ways, dehumanised us. It is easier to turn a blind eye when those suffering are far away. Easier to justify our behaviour when we categorise “them” as different from “us”. I know. Because I do it all the time. And I don’t want to be that person, even if it means never shopping in GAP again.